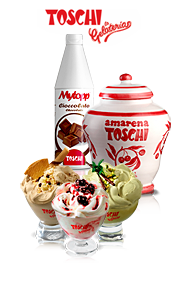 Over its 65 years in the business, the company has enormously enlarged its range of products; now they range from fruits steeped in alcohol to liqueurs (Fragolì, Mirtillì, Nocino, Nocello, Lemoncello), from syrups to semiprocessed products for pastry makers and ice-cream parlours (Toppings for garnishes, ice-cream bases, etc. 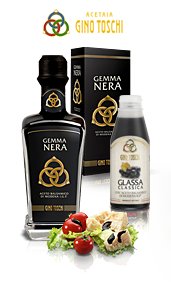 ), to the Aceto Balsamico di Modena IGP (PGI, protected geographical indication). 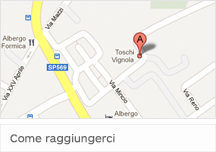 In 2000 Toschi Vignola received the UNI-EN-ISO 9001:2000 certification. 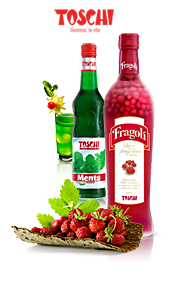 In 2006 it obtained the IFS certification for all its products. The company, which is now being headed by Giorgio Montorsi and Massimo Toschi, is located in Savignano sul Panaro and has 65 employees.